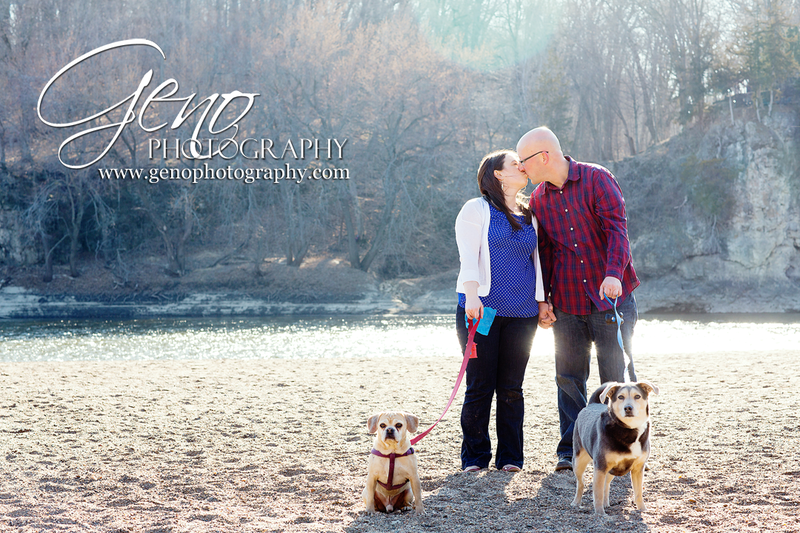 For part of their session, Rebecca and Brian brought their dogs along. 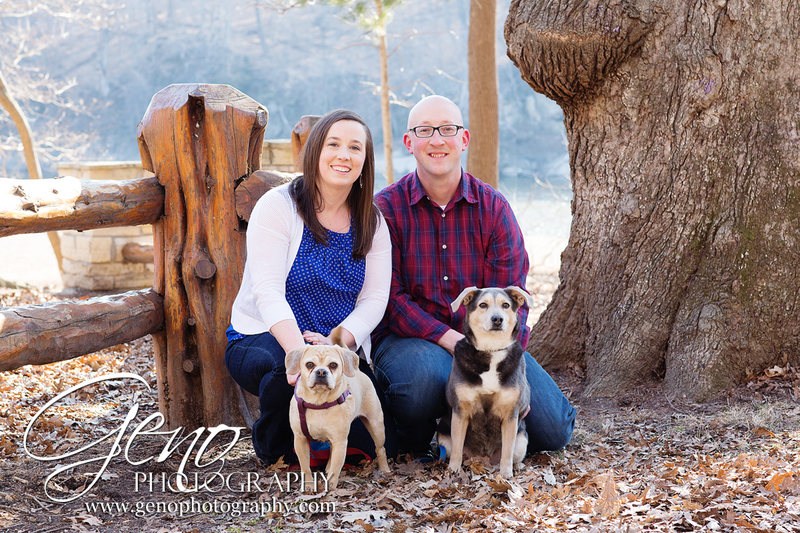 The pups weren't excited to sit and be part of the portraits, but they did a great job. 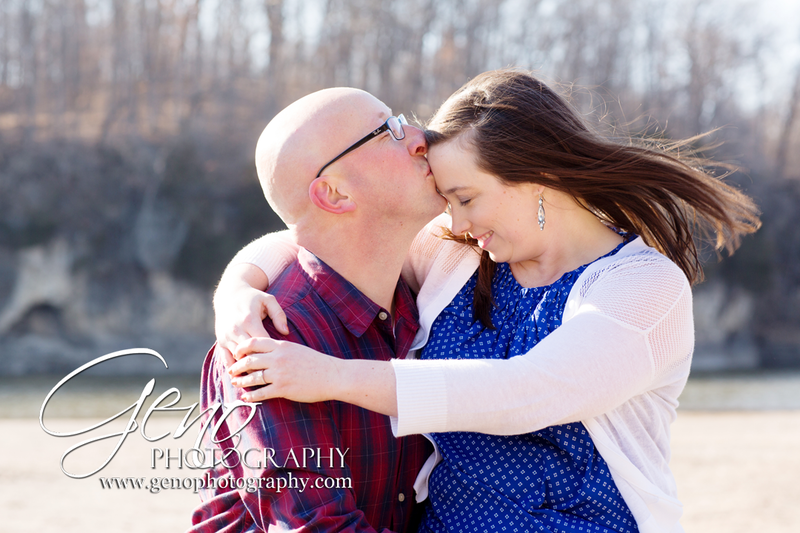 While it took a while to get them both to look the same direction, I think we got some beautiful portraits of them together. 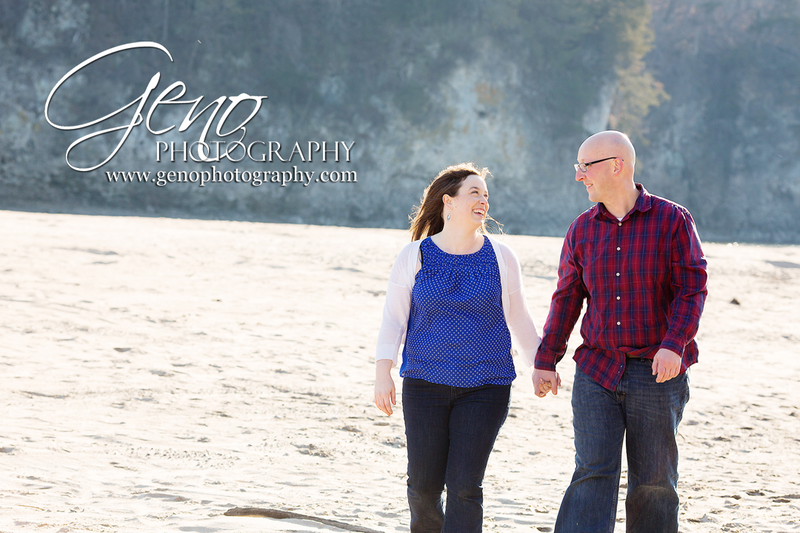 We ended the session on the beach. 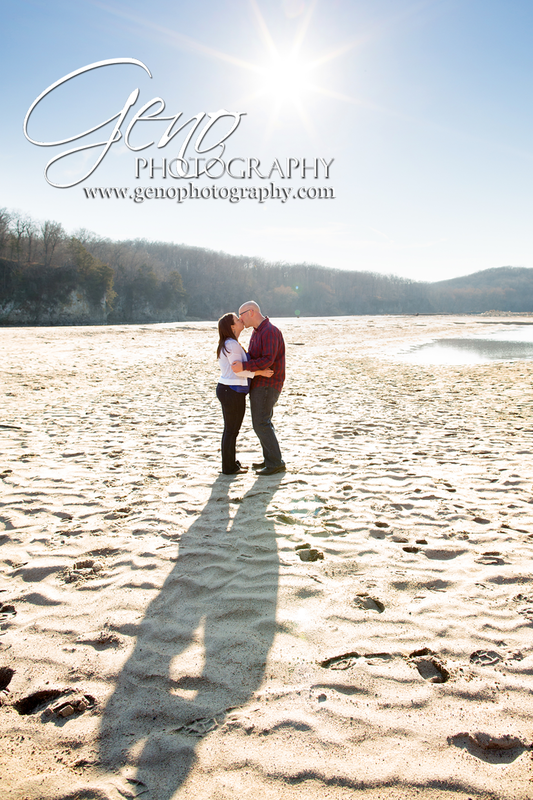 I love their shadows in the image above, mirroring their kiss. 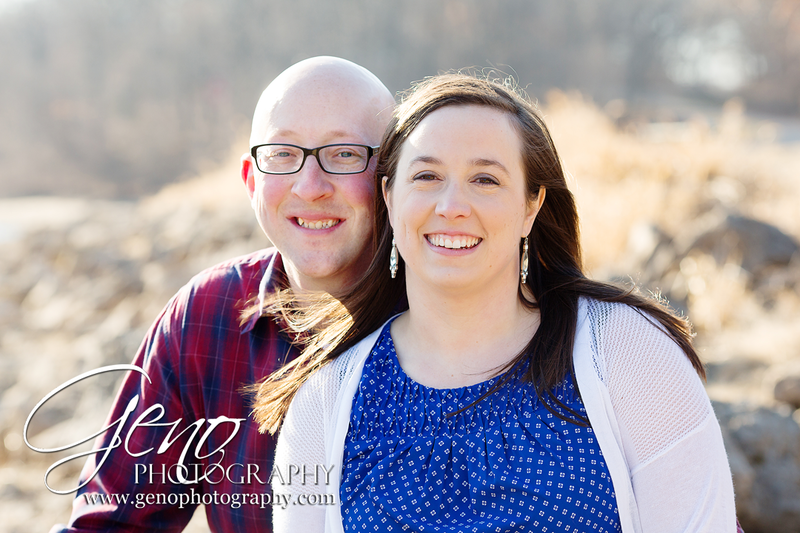 The sun was bright in a clear, blue sky and gave some great dramatic lighting. 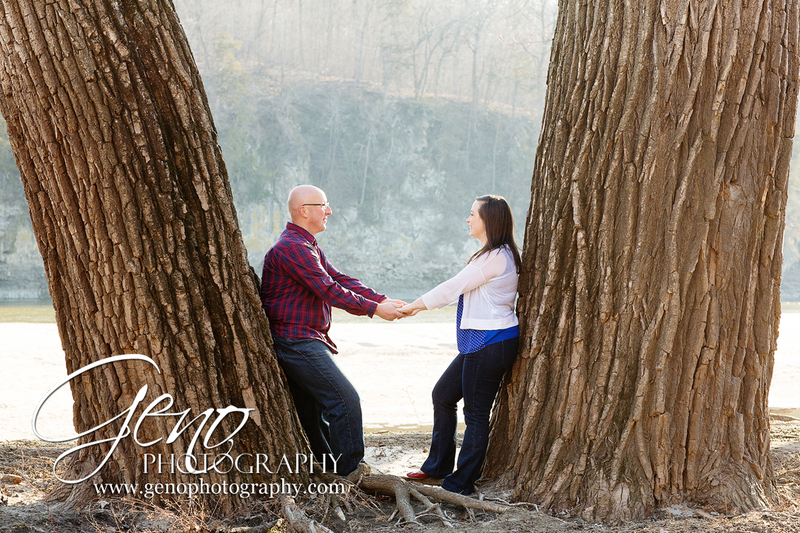 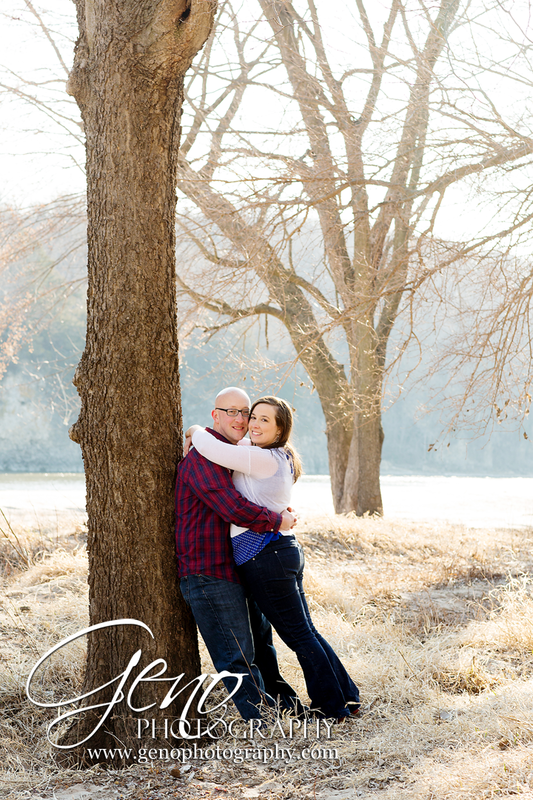 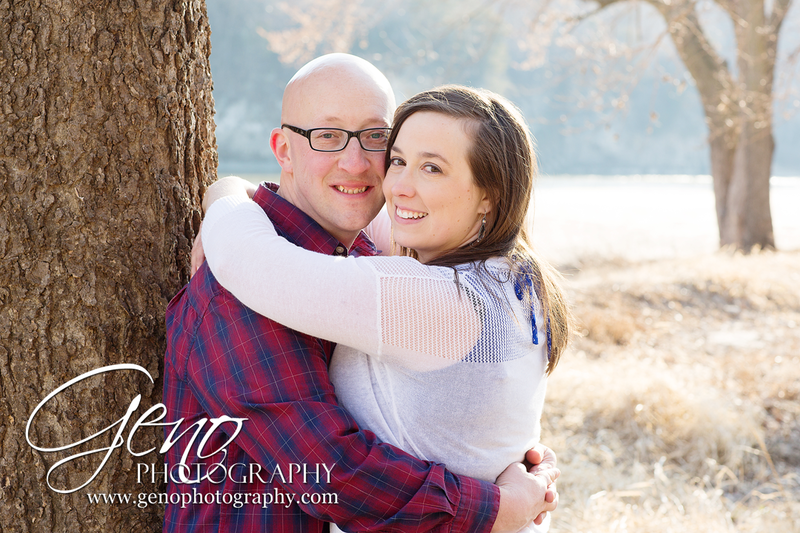 I'm looking forward to capturing Brian and Rebecca's May wedding in Cedar Rapids!